How reassuring: Jerusalem Police commissioner Nisso Shaham has sanctimoniously added his two cents’ worth to the synthetic hullabaloo that gripped specified Jerusalem and Beit Shemesh neighborhoods – the sort to which I and my sort never go. Yet my non-Jerusalemite sort is the loudest in kicking up a righteous fuss about oddities that barely impact our daily lives. Those of us who remember this country a little further back than the day before yesterday know that given anti-Zionist ultra-Orthodox elements habitually sought to stoke the fires of contention. Their counterparts on the leftist fringes of our political patchwork were equally eager to fan the flames. For the latter, it’s politically expedient to ignite culture wars and lump the entire complex gamut of Israel’s observant Jews under the single, all-inclusive epithet of haredim (God-fearing). The religious zealot who called a female soldier “pritzeh” (Yiddish for a woman of loose morals) was turned into a sectarian martyr when the prosecution – generally renowned for its languor and lenient plea bargains – charged him with no less than sexual harassment. The outsized photo of the secularist heroine in khaki, posing with self-important indignation, became the obligatory front-page feature for all tabloids. And this brings us back to Shaham. Since plenty of rabbis commented quite unambiguously, this leaves us with a choice of two conclusions about Shaham. Either he’s clueless about the communities under his jurisdiction, or he’s an out-and-out hypocrite. Ignorant or disingenuous, it’s a cheerless bottom line. No single spiritual authority sways the weird and anarchic groupings in Shaham’s bailiwick. These, by tradition, rival each other unrestrainedly. Indeed, most any rabbi’s reproof is sure to trigger in-your-face provocative escalation from his wild-bunch opponents in given diminutive enclaves of Mea She’arim and its Beit Shemesh spillover. It boggles the mind that a Jerusalem police chief wouldn’t know this (or that he’d pretend not to). But it takes the cake for Shaham, of all people, to posture as the voice of moderation, appealing for decorum and tolerance. He’s hardly the poster-child for fair play and self-discipline. Have the sands of time truly buried Shaham’s own transgressions? Or does his proven relish for battering political opponents confer immunity upon him? Enticing though selective amnesia may be, let’s just the same revisit conduct of our capital’s No. 1 law-enforcer. For those who may have forgotten (not too unpredictably, because tendentious scribblers and broadcasters hardly harped on the issue), here’s a brief reminder. During the 2005 pre-disengagement mass-rally in Kfar Maimon, then-Negev District commander Shaham affected his most macho pose for TV crews, well aware that the commands he barked to young subordinates would be widely broadcast. That suited him perfectly – televised exposure might impress prime minister Ariel Sharon. A hefty professional advancement seemed in the bag. Shaham proceeded to boast before the entire watching nation that he was braver than his own superiors, who had advised him not to charge into Kfar Maimon. Later, under pressure and to avoid greater repercussions than a feeble reprimand, Shaham issued a wan statement of regret, claiming he had been overwrought. That – unsurprisingly – sufficed in 2007 for a three-judge Supreme Court panel to reject petitions against his then-new appointment to the post of Jerusalem deputy police commissioner. The petitioners wondered what the reaction would have been had Shaham’s expletives been directed at Arabs rather than haredim. 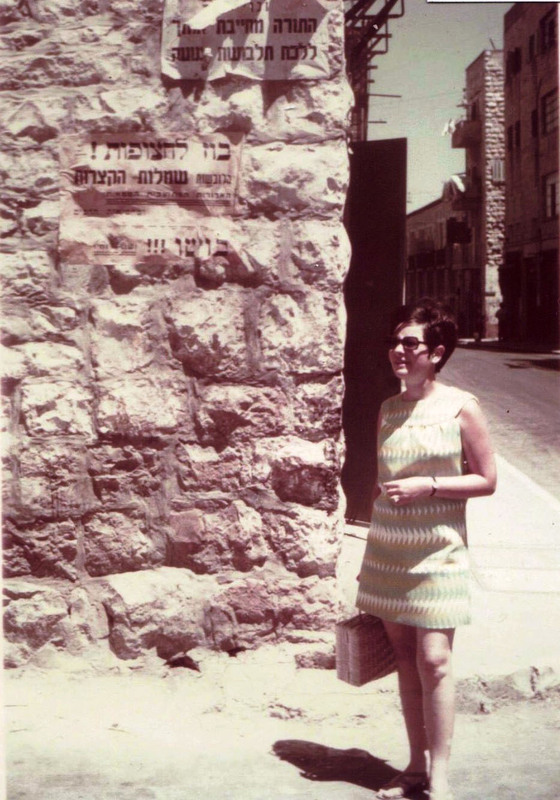 More recently, Shaham was promoted to Jerusalem District commissioner. Why not? It had already been amply established by the highest court in the land that his bias and obscenities were no impediments. Regardless of our unqualified rejection of gender-exclusion and linked excesses in Jerusalem and its zany environs, we need to keep in mind the excesses of those entrusted to safeguard what we broadly all recognize as justice. It cannot be that one man’s shout of “pritzeh” would outweigh a leading officer of the law aggressively sending his underlings to f**k the haredim’s mothers’ mothers. Making it worse is that anti-disengagement activists were nothing like Jerusalem’s current headline- generators. But distorting generalizations are the enlightened bon ton. Never mind that the “public enemies” the media reviles obsessively – settlers and Mea She’arim militants – occupy diametrically opposite ends of Israel’s spectrum. Super-patriot settlers and their supporters are avid, if frustrated, Zionists. The bus-segregationists are passionate anti-Zionists. 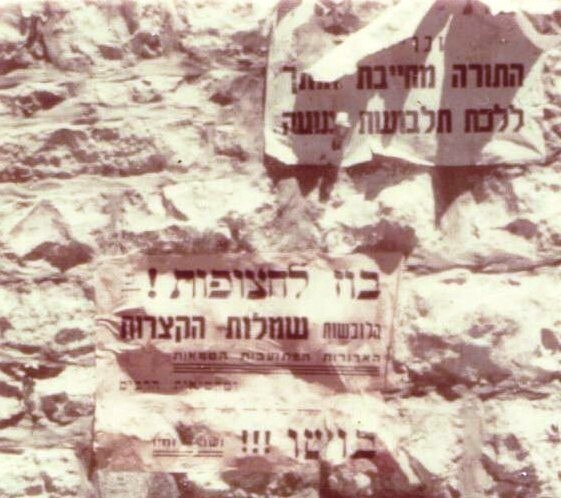 Way back, the differences among Israel’s religious Jews weren’t deliberately obfuscated, perhaps because in the days of Labor hegemony, it was in nobody’s interest to tar entire communities with the same brush. We understood that anti-Zionists excoriated renascent Jewish sovereignty because the state’s founders didn’t wait for the Messiah. We realized the Messiah’s apostles mostly hailed from among Mea She’arim’s Natorei Karta segment, whose most fervent fanatic confederates were members of the uncompromising hassidic branch that emerged from the former Hungarian town of Satmar (now Romania’s Satu Mare). They themselves chronically divide into inimical sub-sects, the most belligerent of which have always caused trouble – from the time they opposed a swimming pool in Jerusalem, to the time their then-leader Moshe Hirsch was appointed by Yasser Arafat as the PA’s “minister for Jewish affairs,” and all the way to the participation of several in Mahmoud Ahmadinejad’s 2006 Holocaust-denial fest in Tehran (only to be shunned later even by their own families). Shaham ought to know that generic rabbis cannot dictate to these cyclically splintering clusters, who confrontationally foment adversity among their nearest and dearest over hairsplitting nuances. They aren’t the greatest danger to our societal fiber because they essentially reside outside our society – to the extent of even refusing any welfare services from the state they abhor. Offensive placards always proliferated in Natorei Karta neighborhoods, but yesteryear’s mainstream was amused by the exotica and didn’t elevate it to existential-menace proportions. Proportions are paramount. It’s dangerous to blow things out of all proportion or, conversely, to lose our collective sense of proportion by pooh-poohing vituperative prejudice. Supposed upholders of legality like vulgar Shaham make political hay by self-servingly inflaming communal strife. They do well for themselves out of making things worse for everyone else. It is sad to me how many secular Jews are embarassed by religious Jews in their never-ended goal of being accepted by the goyem. First, we Jews should stick together. Hitler did not differentiate between Haredim and secular Jews, he knew better, and so should we. We are a people of differing ways of participating in our Jewishness, we are many colors and from many countries but we are a people and we should love each other. Juliane von Mittelstaedt wrote a piece in the latest issue of Germanys “Der Spiegel” in which she blew these proportions in the most obscene way. The distorted picture of the haredim has just become the latest fad of Europes Antisemites, now they have the settlers AND the haredim to spill out their Jew hatred…! True,but then “new europe” looks more like Tehran with its women -in-tents than even “old Tehran” of the 1970’s women of high fashion. “it’s politically expedient to ignite culture wars and lump the entire complex gamut of Israel’s observant Jews under the single, all-inclusive epithet of haredim” – For the Israeli left, the paramount aim to to denude the country of its Jewish character and be like Europe, only more Marxist. Every leftist idea is eagerly taken up and promoted on the media, be it an almost unlimited illegal immigration, or a total abolition of the nation-state, or the man-made global warming – which, ironically, are now more and more questioned in Europe. Sorry but the Yiddish word ‘pritzeh’ (it should actually be ‘pritsteh’) does not translate as ‘a woman of loose morals.’ ‘Pritz’ means lord, or aristocrat, or landowner, and so a ‘pritzeh’ is a landowner’s wife, a noblewoman, an aristocratic lady. Those are the definitions in both the best modern Yiddish dictionary (the one by Uriel Weinreich, 1968) and the best older one (by Alexander Harkavy, 1928), both published by YIVO. I assume the ‘religious zealot’ was being ironic. So sorry, Aizik, but you’re wrong. Pritzeh derives from the Hebrew prutzah (a hussy). Paritz derives from a different Hebrew root, indeed meaning a squire of sorts. Pritsteh, as you commented, is the mocking Yiddish term for the squire’s wife. It has nothing whatsoever to do with pritzeh. The pritsteh need not have been a pritzeh. Yes, it occured to me this morning that I might have been too hasty. However I have been unable to clarify the origin of the term ‘Paritz,’ a Polish landowner. If, as you suggest, it has a Hebrew root rather than a Polish one–a triliteral Hebrew root different from the pe-resh-tsade root, meaning ‘to burst through, ‘to break out,’ that is the basis for all the variants connoting licentousness, such as ‘hussy’–what is that root? I don’t mind being wrong, I’d just like to know. Again, though, neither of the two definitive dictionaries I mentioned considers ‘pritzeh’ or ‘pritsteh’ as a Yiddish word to mean anything other than a squire’s wife; Nahum Stutchkoff’s encyclopedic Oytser fun der Yidisher Shprakh does include ‘pritz’ among a long list of words under the category ‘Oysgelosnkeit’ (lewdness, debauchery, profligacy) but denotes it as archaic. Do we really know with such precision that the man in question didn’t lapse into Hebrew for a brief moment (after all, he is living in Israel) and call her a ‘prutzah’ rather than a ‘pritzeh’? An additional word on this for Yael, if I may. After putting some more time into it, I conjecture that ‘Paritz’ has a Slavic rather than a Hebraic provenance. If you’ll go to Google Translate and translate the word ‘commission’ from English into Russian you’ll see it as ‘porucheniy’ under nouns (the fifth entry) and as ‘poruchat’ under verbs (the first entry). It seems to me likely that the root ‘poruch’ is how ‘Paritz’ came into Yiddish. Note that you may have to adjust your browser settings to display cyrillic characters. AB, I’m not saying that you are wrong regarding “paritz,” but the word has staked its firm claim in Hebrew regardless of its etymology. This changes absolutely nothing regarding Aizik’s notion that it has anything remotely to do with “pritzeh” which is incontrovertibly of solid Hebrew etymology. The fact that there is a faint resemblance in sound does not necessarily indicate that they are the same. The Yiddish “pritzeh,” evolved from the Hebrew “prutzah” (accent on the last syllable, unlike what it is in Yiddish). The Hebrew root (peh, resh, zadi) means to break through or break in. The “prutzah” is one whose moral bounds are broken through. This root has produced many Hebrew offshoots. Among these is “poretz” (a burglar), “pritzah” ( a break-in), “pratzim” (draft) and “pritzut” (moral lassitude). There are loads more words but this lot suffices. But why deviate to the silly sidelines (by irrelevantly harping on anyhow entirely wrong info), when this piece raises very important issues which far more seriously demand our attention? Sorry, Aizik, I forgot to respond to your last point. I doubt that the zealot who yelled at the girl soldier resorted to the Hebrew “prutzah.” This is a rather literary word in Hebrew, rarely used and certainly not in everyday language or in an angry expletive. The case in Yiddish is quite different. Hebrew has its own rich lexicon of other words which might to hurled as insult. Resorting to “prutzah” in everyday Hebrew is akin to an English speaker accosting someone with “harlot.” It way more likely that the lout would go for “whore.” Get my point? Pritze, or pritzete, imply simply brash immodesty, not necessarily immoral, but looking like it. I recall a similar American misconstruction, where the word “behema” was interpreted as a racial slur alleged to mean “water buffalo”. It is, in common Yiddish and Hebrew usage, a cow. In broader and more Biblical usage it means animal. Both also English epithets for people who disturb. Let’s not prosecute people for foreign language name-calling; who cares what it means, especially when even the speakers rarely know, let alone the experts?